Get ready for fall with a football inspired fête featuring varsity letter accents. 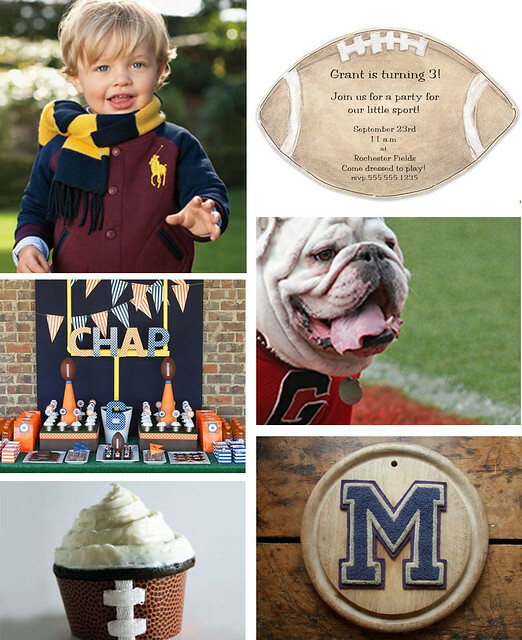 Perfect for your little sport, this party makes a wonderful autumn birthday celebration and is sure to leave your child cheering for more. Instead of a cake, serve these nifty football cupcakes we found on Celebrations.com.